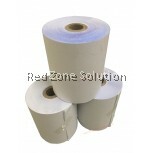 Paper roll Malaysia is good for your receipt printing purposes because it can be used with all types of thermal printers. 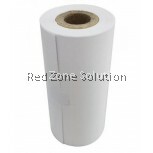 The rolls are made with a solid, hollow centre where you can conveniently insert in the printer and generate receipts efficiently without hanging. Every paper is made in good quality and with a robust strength to ensure that it does not tear or fold unnecessarily. Make sure that you buy the perfect size that is going to fit into your thermal printing machine to avoid mishaps when producing the receipts. 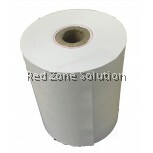 To improve your product awareness, the thermal paper rolls Malaysia can be customised by printing your business name or logos at the back of the paper so that people can see what you are offering and where. You never know who will touch the receipt and where you could increase your number of customers. 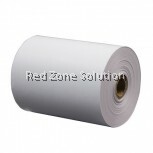 You can even ask for a specific colour so that the paper roll meet your business requirements and standards. Paper rolls come in different colours, but regardless of the colour you choose, you should make sure that their quality is excellent. When the thermal receipt paper Malaysia is over, you are normally forced to stop and change the roll so that you continue serving customers. This stoppage is more frequent when you use short rolls. Imagine a situation where there is a long queue of customers, and you have to make several stops for you to change the paper rolls, it would be daunting and annoying to the customers for delaying them. 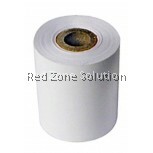 The best option is to buy a long roll that can serve a lot of clients without changing it. This will not save you money but also your time and clients’ time as well. There is a reason why a receipt has to be offered to clients when they buy goods. For the seller, the point of sale is going to record the sold products as a whole, but it won’t record who bought the products. It is the receipt that will verify what the client bought and at what price. The receipt paper should, therefore, be made from a high-quality generic paper that can be stored without undergoing any quality degradation so that when needed, it would be easy to read what was printed on it. It is good to source the printer paper Malaysia from a trustworthy supplier who understands the various qualities of receipts papers available. You need to get something that will fit your business so that you avoid receipt printing mishaps. The supplier should be able to customise the roll, whether in texts or colours to ensure that it meets your business standards and requirements. To conclude, there are various categories of receipt papers, you need to choose what will fit your thermal printer and machine. To avoid getting the wrong paper, perfectly describe the kind of roll you want so that the supplier packs the right roll for you.